Unfortunately for the residents of Maryland, the state has some of the strictest gun laws in the nation, and you’ll need to be aware of all of them if you want to be a legal and responsible gun owner. 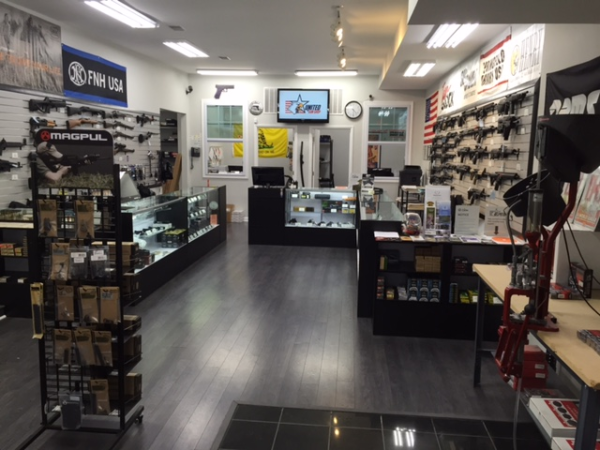 Lucky for you, we’ve got everything you need to know to navigate the maze of gun laws Maryland has in store for you, and we’ll have you out protecting your freedoms in no time! In order to buy a handgun, you’ll have to meet the basic federal requirements as well as the additional Maryland-specific ones as well. The training course has to be conducted either by the Police Training Commission, or meet the standards set by the PTC. Typically, any Maryland-specific firearms course should meet the standards, but you’ll want to check just in case. Or, you can try to attend a free course offered by the PTC if you’re looking to save some money. The HQL has its own application process and set of requirements too. It’s basically a pre-background check that is performed before you even go in to your local gun store to buy a handgun. Have completed a certified firearms training course. The firearms training course has to be taken in the last 3 years before you applied for the HQL, and has to cover specific topics. Operation and handling demonstration of firearms. The last portion also requires a live-fires portion, where you will need to demonstrate you can safely and accurately shoot a handgun from up to 15 yards away. Are an honorably discharged member of the US Armed Forces of the National Guard. Once you get the training requirement done and submit your application, the HQL will be issued to you in about 30 days, assuming all the information was filled out correctly and there were no issues with your background. Hopefully, however, you don’t run into any issues with the HQL, and can just bring it with you when you go to your local gun store to pick out a handgun. 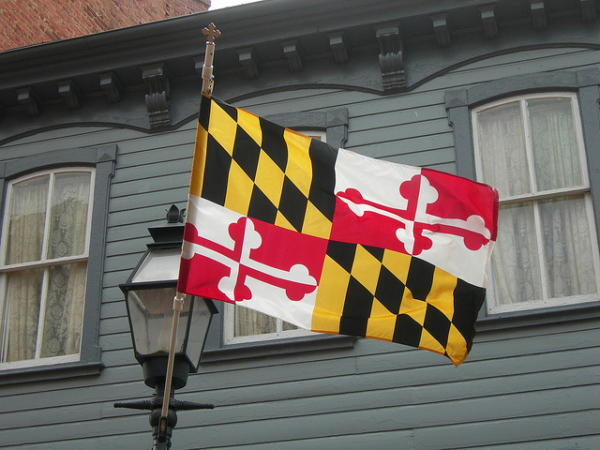 You’ll need to go through the same process every 10 years as long as you live in Maryland. It’s important to keep in mind that even if you aren’t looking to buy a handgun yet, you actually are required to have an HQL to even be able to rent a handgun from your local gun range. The only exception to the HQL requirement is if you are purchasing, renting, or receiving an antique or curio firearm. In that case, the firearm is treated like any other item or collectible, and can be bought and sold without worrying about the firearms laws. Any firearm using fixed ammunition manufactured in or before 1898, for which ammunition is no longer manufactured in the United States and is not available in normal markets. As long as the antique firearm you want to buy meets those requirements, you can skip the whole HQL issue completely! Once you finally get your HQL, you can go to your local gun store, and pick out a handgun that you want. But you’ll also need to make sure you don’t fall into any of the prohibited categories that would result in automatically being denied a handgun purchase. Are visibly under the influence of alcohol or drugs (don’t go to the gun store drunk or high!). If none of these situations apply to you, then you can go ahead and buy a handgun! Well, one that’s on the approved Handgun Roster, that is. Maryland has a list of handguns that are approved for citizens to purchase and own! You’ll need to complete an application form for the handgun that you want to buy, and the seller will provide the form to the Secretary of the State Police for a state background check and gun registration. This usually takes about 7 days, and if you don’t hear back after those 7 days, then you can go ahead and pick up your handgun! If you are denied your handgun purchase for some reason, you can appeal the decision by requesting a hearing with the Secretary of the State Police, in writing, within 30 days of the denial. You should get a hearing scheduled 15 days after that, where you will need to show that the denial was based on an arbitrary decision. Unless it’s obvious that the decision to deny your handgun purchase was arbitrary, though, you’ll have a hard time appealing the decision. After all of that, you’ll hopefully have a handgun to take home. And if you want to buy another one? You’ll need to wait 30 days between handgun purchases. After all the hoops you had to jump through for buying a handgun, getting your hands on a long gun is much easier by comparison. It’s not without its own obstacles, however. You don’t need an HQL for a long gun, or any training, even though that is probably a good idea anyway. The only thing you’ll really need to worry about is if you want a rifle that isn’t considered an “assault weapon” in the state. So what is an assault weapon? The state of Maryland has an exhaustive list of long guns and semiautomatic pistols that it considers to be “assault weapons,” but as long as you buy your rifle from a local gun store, you’re not likely to have to worry about it being an “assault weapon.” Buying a rifle from the back of that guy’s van in the alley may be a different story, and is probably not the best idea anyway. The main issue with the law is that most standard AR-15 rifles have flash suppressors as a factory standard. You’ll just have to settle for a compensator instead, but that isn’t really a big deal. If you move to Maryland, you’ll need to register all your handguns and “assault weapons” with the Secretary of the State Police within 90 days. Once you’ve finally got your new guns, you can carry them around the house, and take them to the range, but carrying a handgun in public, either openly or concealed, requires a permit. A long gun can be carried openly without a permit, though you’ll want to be aware of your surroundings and decide if it will draw any unwanted attention your way. 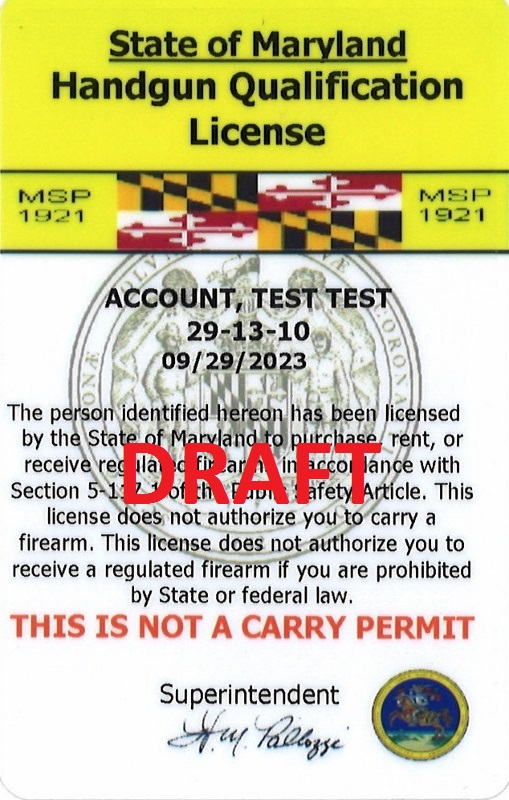 For those of you interested in learning about carry permits, be sure to check out our Maryland CCW page after wrapping up here. We’ve got all the info on how to get your permit, and what additional laws you’ll need to watch out for once you have a permit to carry. When you take your firearms on the road with you, you’ll have to follow specific rules on how to carry them, especially when it comes to handguns. Handguns have to be unloaded and kept in a carrying case or a holster with a flap, with the ammo being kept separately. 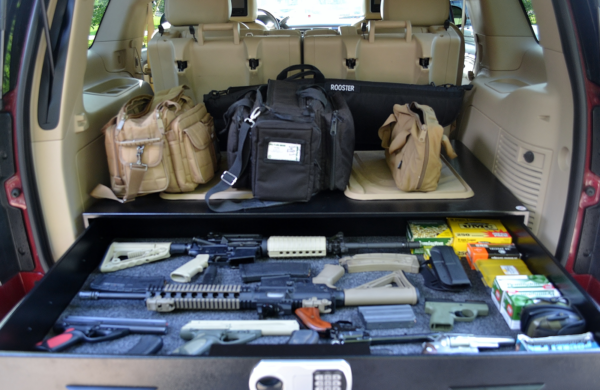 Ideally, you’d just keep your handgun stored in the trunk while you’re driving, instead of in the backseat somewhere. Long guns can be stored in the car as long as they are unloaded, and don’t have any of the ammo or carrying case requirements that apply to handguns. Moving the gun as part of your gun collection from one place to another for an exhibition. Aside from these very limited situations, you basically will need to keep your gun at home and out of sight. Maryland actually has no laws on being able to use deadly force to defend yourself, whether you are at hom, or out on the town. Luckily, there have been some cases where deadly force was used, and those cases formed a general framework for being able to use deadly force in self-defense. The fact still remains, however, there is no specific law on the books that allows for use of deadly force, so ultimately it would be up to a jury to decide if you were justified in using deadly force to defend yourself. Following the cases on self-defense, however, generally you may be justified in using deadly force to defend yourself if you had a reasonable belief that you were in immediate danger of death or serious bodily harm, as long as the force was not more than required by the situation. What this means is basically that if it’s a close call, you’ll have to go to trial and hope the jury agrees you were right to use deadly force. Practically speaking, you may not have time to weigh the pros and cons while a bad guy breaks into your house and tries to hurt you or your loved ones, and you will just have to use your best judgement and decide the best way to protect yourself and your family. Explosive or armor-piercing ammo is prohibited in the state of Maryland, so you will need to steer clear of all of that. Just stick to the basic plinking rounds and a few self-defense rounds to cover your bases. To put all those rounds in your guns, you’ll want some “high capacity” magazines, also referred to as “standard magazines” in the gun-friendly states. Maryland prohibits buying magazines that can hold more than 10 rounds. There is no law restricting owning magazines that hold more than 10 rounds, however, so you can just buy the normal-capacity magazines out of state. With that, you’ve now got all the information you need to be a responsible gun owner in the state of Maryland! Next, don’t forget to check out our Maryland CCW page to learn about the process to get a permit and defend your freedom everywhere you go. If you’re looking to expand your skills before going the CCW route, that’s okay, too! But you might want a sturdy safe to keep all your new toys, and keep them away from prying eyes while you’re out of the house. Maryland requires you to keep firearms out of the hands of unsupervised kids under 16. A basic gun cabinet or handgun safe may be a good starting point for securing your firearms. Once your guns start multiplying, take a look at the bigger safes we recommend.